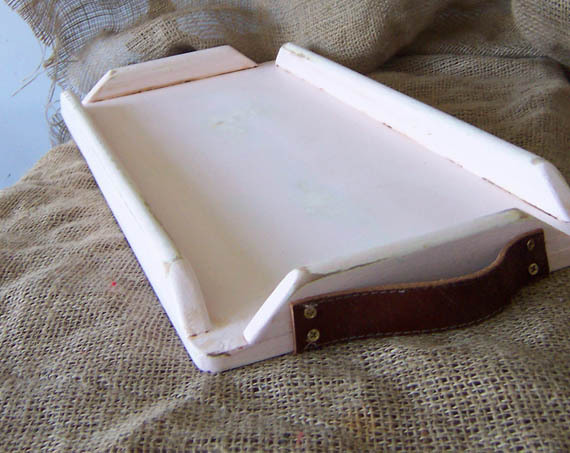 I don’t know what it is about trays. I don’t really use them, not in the way my grandmother did to serve greek coffee and sweets to visitors. I just love them as decoration, on a table to hold objects or displays of interesting objects. 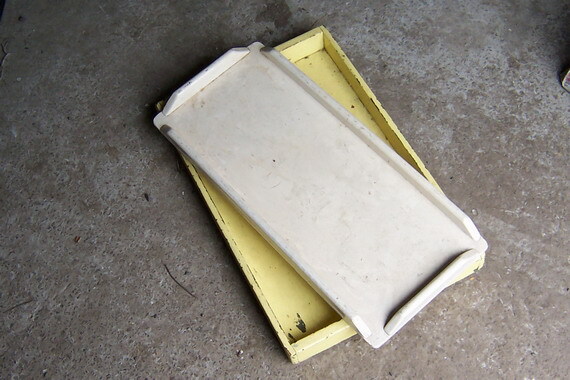 So when I find an abused and abandoned tray in an op shop I can’t help but rescue it. 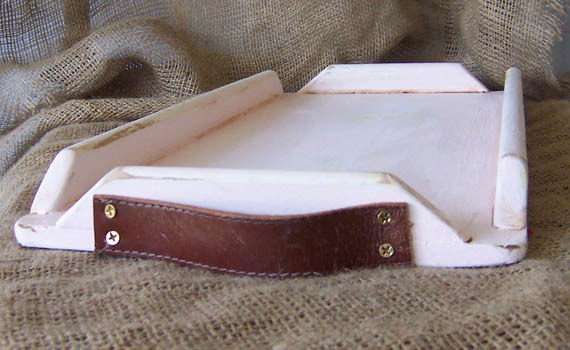 The softest pale pink, some distressing, some glazing to add age, and an old belt for handles. I love this baby! If it doesn’t sell at the market this weekend I’m keeping it!